Pictures have the descriptions. They consist of the words that make wise statements that lead the listeners astray....we all are reaping the painful consequences of the nice theories without any application to the daily practice, isn't it? The picture thinking helped me to break through that confusion. 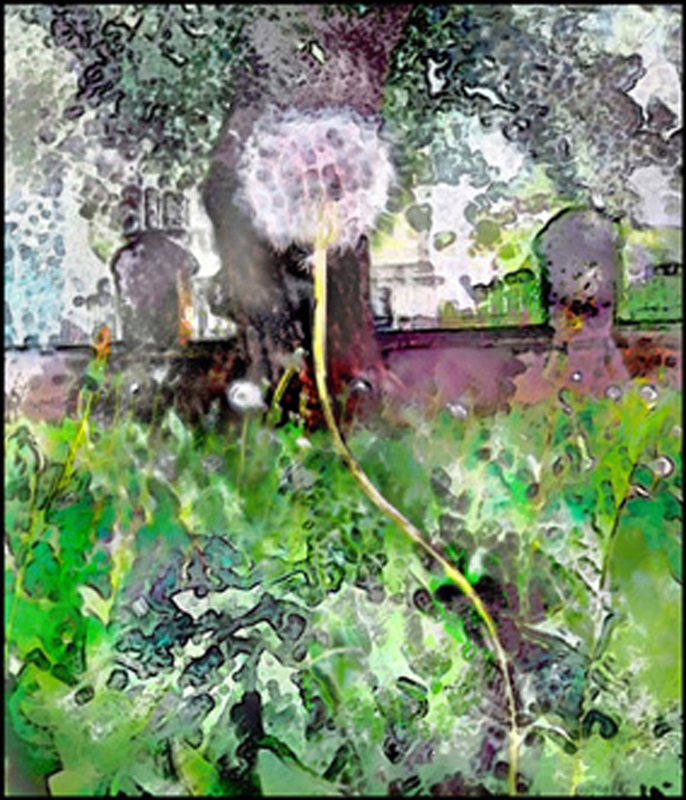 Thus my paintbrush awaken once again and presented me to the dandelion clock on above. The dandelion welcomed me when the eyes fell underfoot - when I learned to listen, the heavenly 'silence' put me under a charm, taught me the art of endurance. Stunning, Tomas, stunning. This one had me looking and thinking for awhile. This picture resonates deeply for me. In it you have beautifully integrated the seemingly dual nature of the dandelion and its surroundings: the delicately fragile tracery of the seed head is echoed by the foliage all around it; yet the flower and all of the plant life abide and persist year after year. Within seeming weakness there is great strength. Thank you for this lovely lesson. Having spent some hours this week just doing nothing in the garden (when there's so much to be done), I enjoyed this painting greatly. Hi Tomas, thank you for coming by my blog and leaving a message about my "Intuitive painting class." You're so right about art coming from that inner place where everything is free and flowing. I see that you practice this yourself! LOVELY ART that speaks to me. What disguises as an abstract painting?